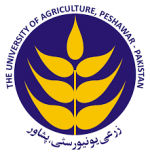 1Institute of Biotechnology and Genetic Engineering, The University of Agriculture, Peshawar, Khyber Pakhtunkhwa, Pakistan; 2International Maize and Wheat Improvement Center (CIMMYT), Mexico; 3Department of Plant Breeding and Genetics, The University of Agriculture, Peshawar, Khyber Pakhtunkhwa, Pakistan. Wheat diseases remains the major constraint to wheat production across Pakistan, including rusts and powdery mildews. Although significant attention is given to rust diseases, powdery mildew is a less considered diseases so far, mainly due to lack of information on the prevalence across Pakistan. Surveillance for powdery mildew status assessment was conducted across Pakistan during three wheat crop seasons i.e., 2015-2016 to 2017-2018. 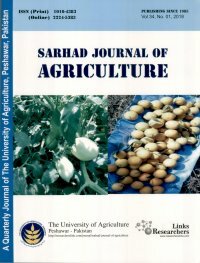 A total of 437 fields (from 63 districts) were surveyed in 2016, 480 fields (from 69 districts) in 2017 and 294 fields (from 34 districts) in 2018, revealing a high prevalence of powdery mildew in the northern Himalayan parts of Pakistan. Powdery mildew was more severe during 2018 followed by 2017, while it was the minimum during 2016. In Sindh province, none of the 253 fields surveyed over three years, had powdery mildew, while in Punjab the disease was absent in more than 98% fields. In Khyber Pakhtunkhwa, the disease was detected in 17% fields, while in Kashmir the disease was present in only 11% of surveyed fields. In Gilgit-Baltistan, the disease was detected in four fields from three surveyed districts. Among the five provinces and Azad Jammu and Kashmir, powdery mildew was a major problem in Northern Khyber Pakhtunkhwa and Kashmir. 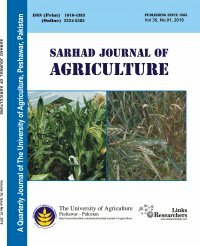 Among the cultivated varieties surveyed, severe infestation (>40% severity) was observed for wheat varieties Galaxy-2013, PS-2005, Faisalabad-2008, Shahkar and some local lines. Future wheat improvement programmes must be encouraged to consider resistance to powdery mildew, particularly for lines to be cultivated in the Himalayan region of Pakistan.